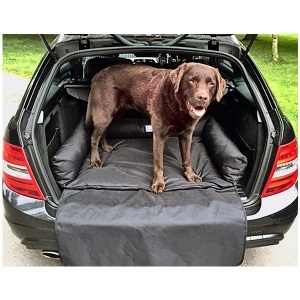 The Danish Design Boot Bed protects your car boot whilst out and about on your travels. 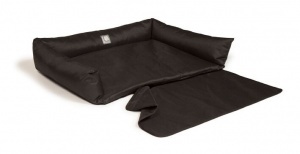 When not being used in the car, it easily becomes a great practical bed which can be used outdoors or in the home. Constructed from a heavy duty waterproof fabric, it comes with a removable car bumper protector with easy fit Velcro fastening. 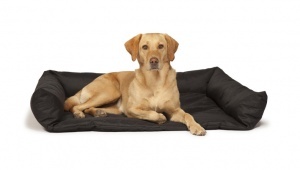 The soft padded base is easy to wipe clean with a damp cloth. Great for wet muddy paws!